BYD Song PHEV: The next sales champ from BYD? The global EV market grew 59% in May, to close to 89.000 units, it was the highest YoY monthly growth rate this year, with YTD sales now at 348.000 units and June poised to surpass 100k deliveries, possibly even beating the 103k record of last December, surpassing the one million mark by the end of the year is a given, the question will be, by how much? Will sales reach 1.1 million? 1.2? 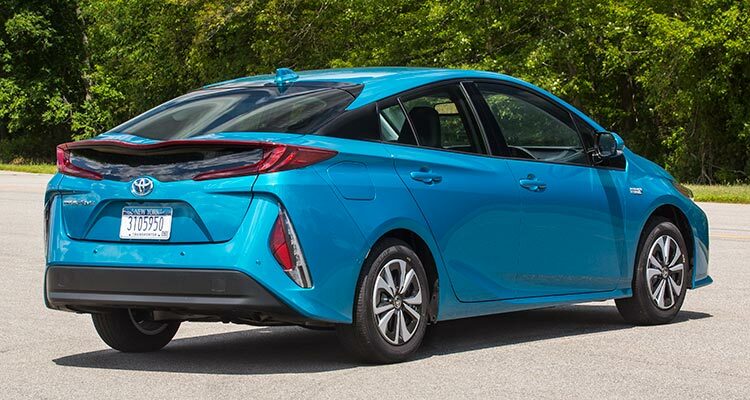 In May, the Best Selling model was the Toyota Prius Prime/PHV, with 7.579 units, a new sales record for the Japanese hatchback, being the first time it wins a Global Best Seller Award, while at the same time in allowed it to climb two positions to a best ever #2 in the Top 10. With the Leaf some 1.000 units away, it looks possible that the Prius becomes the 2017 Best Seller next month, resisting later to the Tesla Model 3 surge in the final months of the year. The Zhidou D2 EV, #2 last month, also climbed in the YTD ranking, now at #6, while at the bottom, the Mitsubishi Outlander PHEV, no doubt helped by the 635 deliveries in the Ukraine, took the opportunity to close in to the #9 Chevrolet Volt. Outside the Top 10, positive numbers for several Chinese models, firstly the BYD e5, which made a record performance for the second time in a row, with 3.131 deliveries, reaching the Seventh position in May, while the Geely Emgrand EV was Eighth last month, with 3.015 deliveries, a year best, the JAC iEV6S also delivered record performances, with 2.572 registrations (#10 in May), making it five(!) chinese models in last month Global Top 10. A special reference to the Chevrolet Bolt Problem-Child, having surpassed for the first time the 2.000 units/month cap, with 2.085 units, the values are starting to become interesting and considering that the looong rollout plan is still happening, we are still not sure how much this model is worth, saleswise. One thing is certain: It is worth more than its Plug-in hybrd relative, the Volt (2.363 units in May). BYD was the Best Selling manufacturer for the second time in a row, with 8.651 deliveries, its best performance since last October, so it seems that the 10k-plus performances are ready to unfold for the Chinese company and the bid for 2017 Best Seller is very well on the table. 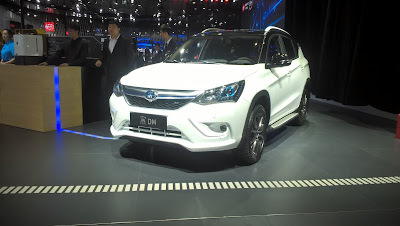 Thanks to the increasing production pace, BYD is now ready to take on this year Big Boys, with Nissan less than 500 away, it will be the first to be surpassed, surely next month, with the now #3 BAIC possibly to be taken during the Summer. A harder task will be the first two, not only the distance to cut short is larger (10.000 units), but both have also aggressive growth plans, if BMW seems attainnable to reach towards the end of the year (November? ), Tesla has the Model 3 factor kicking in at the second half of the year, so it will be a tough cookie to crack. But, if someone can take the 2017 Ceptre from going to Palo Alto, it will be BYD. Toyota climbed to #6 and could even catch Nissan later in the year. Zhidou returned to the Top 10 Manufacturers, reaching #9, while the race for #11 is a real close one, with Mitsubishi, SAIC Roewe and Mercedes all separated by less than 70 units. The European passenger plug-in market had more than 21.000 registrations last month, up 48% over the same month last year. Yeart-date, the market is up 27% this year, with the EV share standing at 1.4%. With the QC issues solved in the second half of the month, the Renault Zoe was once again Master in Command, with the BMW i3 and Outlander PHEV recovering some ground over the ageing Nissan Leaf. #1 Renault Zoe – With the quality glitches now a thing of the past, the French Zoe was back at its usual self, registering 2.095 units, up 26% YoY, and enough to win for the fifth time in a row the Monthly Best Seller status in Europe. Due to these hiccups, the model performance increased across Europe, like in its home market (1.230 units), or Norway (108), managing to stay relevant in the all-important German market, with 271 units, up 17%. #2 Mitsubishi Outlander PHEV – After a series of depressing months, the Japanese SUV has finally found again its dosage of bright sunshiny days, ending May in Second Place, with 1.842 units, up 28% YoY. Mitsubishi found a new golden nugget to sell its PHEV, the case being Scandinavia, more specifically Norway (343 units) and Sweden (297), so it seems the good ol’ Outlander will continue to be a resident here. #3 BMW i3 – The German Hot Hatch was up 151%, to 1.629 units, with 3 out 4 units sold being of the BEV variety, a great contrast with what happened 12 months ago, when the Rex variety used to outsell the all-electric version. What extended range does, uh? Anyway, solid results for the BMW model, especially in Norway, with 410 units, all of them being BEV(! ), but also in its home Germany (297 registrations). Looking ahead, expect deliveries to slowly drop, as people anticipate the revised version, coming later in the year. #4 Nissan Leaf – Thanks to deep discounting, the ageing hatch is resisting the newer offerings, reaching Fourth Place, managing even to grow 8% last month to 1.378 units. With steady sales in its stronghold markets (France, UK and Norway) and increasing significantly in Sweden (153 units, up 99%(!) YoY), the veteran model is keeping momentum by appealing to a new demographic, still untapped by EV’s: Bargain Hunters. #5 Volkswagen Passat GTE – Back at the Top 5, VW’s favorite PHEV company-car recorded 1.170 units last month, its best result since January. The largest markets for the Passat GTE were Norway, with 340 units (Sarcasm mode on - What a surprise! ), Sweden (342 units) and Germany (177). With the right mix of space, electric range familiarity, expect this model to continue to be a regular here. Looking at the YTD ranking, the top positions remained stable (See disclaimer), with the most notable change being the VW Passat GTE surpassing the Tesla Model S and reach the Fifth Spot. Other models on the rise are the BMW 225xe Active Tourer, now #9, while the VW Golf siblings, the all-electric e-Golf and its PHEV GTE relative, are profiting from the restyled unit deliveries to recover positions, with the GTE now in #14 and the e-Golf #15. Looking below the Top 20, there are some hot sellers bubbling up, like the recently arrived BMW 530e (397 units, new record), the Opel Ampera-e (Chevrolet Bolt in Euro-Speak), registering 232 deliveries last month and the Toyota Prius PHEV, which had 286 registrations, or the nameplate best European result in four(!) years. Looking at the manufacturers ranking, BMW (20%) is comfortably seated on the Top Spot, followed by Renault (13%) in Second Place, while the Third Place is being hardly fought by Nissan (11%), Volkswagen (10%), Tesla and Mercedes, these last two with 9% share. With the Wolfsburg brand now making the restyled Golf plug-ins at full speed, expect it to beat Nissan soon and race Renault for the Second position. Disclaimer: Due to some data adjustments in the April numbers, some models positioning were subject to changes regarding the previous article. 2017 is the recovery year in Japan, mostly thanks to the introduction of the new Toyota Prius PHV, which in just three months, has disrupted the Japanese market, shooting for the leadership with 57%(!) share. The Toyota Plug-in has shattered the Japanese all-time monthly record for a single model last month, with 5.370 units, pulling the total market to an all-time best of 6.566 units, with the EV Share now at 0,93%, more than double of the result achieved in 2016 (0,42%), which could mean that this market will finally break the 1% threshold soon. So, can Toyota add to its home trophy, the 2017 World Title? Well, that's a bit trickier because of the Tesla Model 3 arrival. But. Not impossible, IMHO.